This time of year, the amount of eggs we have is totally out of control, and we’re always searching for new recipes to use them up. There’s only so many eggs I can scramble! Sometimes we give them to the pigs (a great way to give them variety and extra protein and another big step towards self-sufficiency). But, of course, if you don’t have pigs, you’re likely left with a whole lot of eggs and are scrambling (get it? yuk, yuk, yuk) for new recipes to use them up and escape the same ol’, same ol. Here’s 50 recipes (newbies and some classic favorites!) I love that feature eggs! 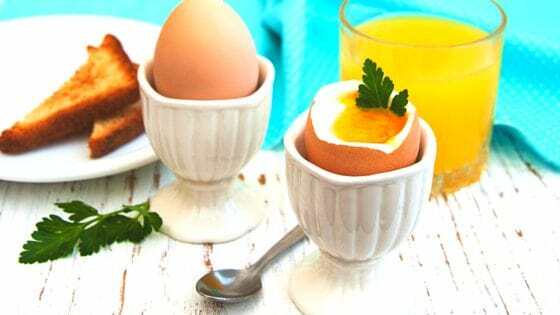 Eggs with Soldiers: Heat water until you have a rolling boil. 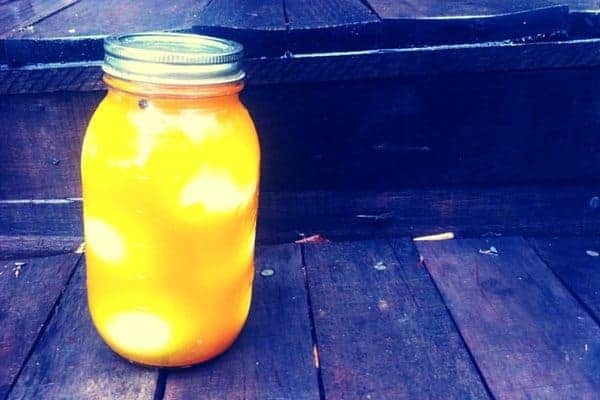 Boil eggs for 2 minutes then remove and cool. Slice the small end off the egg and serve with strips of toast. French toast: Crack two eggs into a bowl and whisk until scrambled. Heat a skillet, and dip bread, one slice at a time, into the scrambled eggs. Cook on the skillet, turning over until brown. Soft Boiled Eggs: Place 4 eggs in a saucepan of boiling water, then cook over low heat, 7 to 8 minutes. Drain, peel and halve; top with herbed butter. Scotch Eggs: Boil eggs and peel. Encase each egg with a layer of sausage. Roll in flour, dip in beaten eggs, then roll in bread crumbs. Fry in oil until crisp. 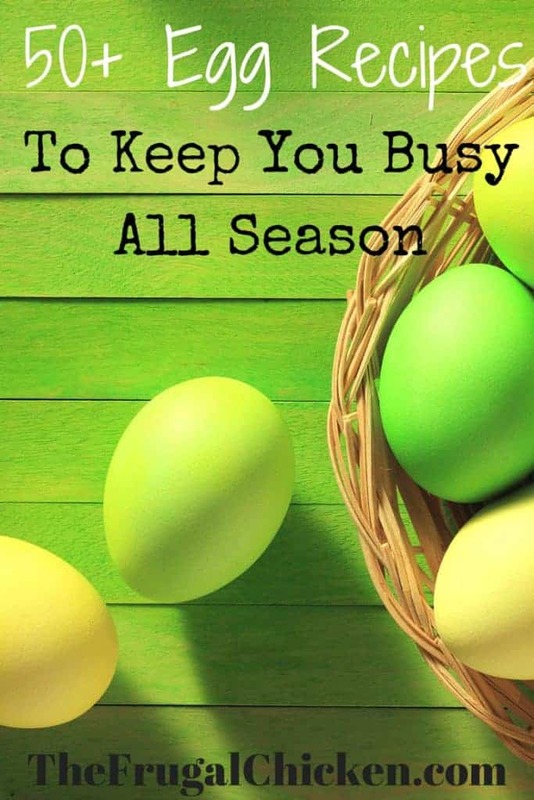 Hard Boiled Eggs: Place 6 eggs in a large pot, cover with cold water by and bring to a rolling boil for 8. Remove from hot water and place in cold water until cool. Drain, then peel. Bacon-and-Egg Salad: Slice hard boiled eggs into 1/8” slices. To a bed of lettuce, spinach, or other leafy green, sprinkle crumbled bacon. Add sliced pear and an olive oil vinaigrette. Top with the eggs. Scrambled Eggs: Whisk eggs with crème fraiche and heat in an oiled pan until cooked through. Season with salt and pepper. Spicy Scramble: To scrambled eggs, add 1/3 cup shredded cheddar, and diced jalapeno to taste (leaving out the seeds if you don’t want it too spicy). Creamy Scrambled eggs: Mix 5 eggs with 2 tablespoons homemade cream cheese, 2 teaspoons chopped chives, and salt and pepper. Heat until cooked through. Egg and English Muffin Sandwich: Beat 1 egg with salt and pepper in a ceramic mug; microwave 45 seconds. Serve on an English muffin and microwave for 30 seconds to melt the cheddar. Breakfast Burritos: Cook 1/2 cup diced chorizo, 1/2 diced onion and 1 tablespoon diced jalapeno in a nonstick skillet. Add 4 scrambled eggs. Divide evenly among tortillas, and top with salsa before rolling up. 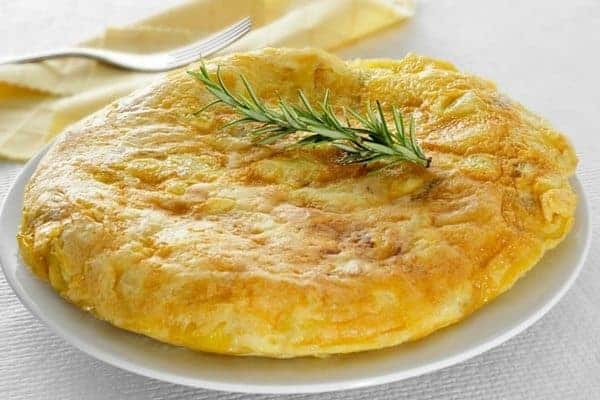 Classic Cheese Omelet: Crack 3 eggs into a bowl and whisk until scrambled. Pour into a hot pan glazed with 1 tablespoon of oil and cook over medium heat (do not stir the eggs at all. When firm, add shredded cheese to half of the eggs and fold. Heat for 2 minutes or until the cheese is melted. Spinach Omelet: Mix beaten eggs with salt and pepper. Before folding, add chopped spinach and 2 tablespoons chevre. Strawberry Omelet: Beat eggs for a classic omelet, and before folding, fill with sliced strawberries. Top with ricotta. Bacon Omelet: Cook and crumble 1 slice bacon. Toast 1/4 cup corn in the drippings; add 2 tablespoons salsa. Make an omelet but before folding, fill with the bacon and corn. Ham Omelet: Beat 8 eggs with 2 tablespoons milk, and salt and pepper. Cook in a large skillet as directed for Classic Omelet (No. 25); fill with 1/2 cup each diced ham, gruyère and sautéed peppers. Poached Eggs: Bring a skillet of water to a simmer. Crack eggs into individual cups (best to use a pan specific to poached eggs), slip into the water and poach until the whites set. 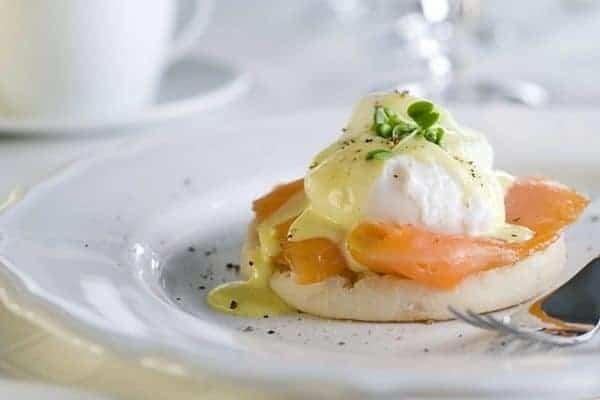 Eggs Benedict: Top 2 poached eggs with a hollandaise sauce and serve on English muffins with lox or fried Canadian bacon. Huevos Rancheros: Fry two eggs over easy. Add salsa, ham, bacon, and beans, serve hot. Birds in a Nest: Cut a circle out of the middle of a slice of whole wheat bread. Toast the bread in a nonstick skillet. When slightly browned, crack an egg into the hole, add salt and pepper, cover and cook until the white sets. Fried Eggs: Crack 4 eggs into a skillet with 2 teaspoons bacon drippings. Add salt and pepper; cook until the edges are opaque, 2 minutes. Cover and cook 4 to 6 more minutes. Curry Coconut Scrambled Eggs: Crack 4 eggs into a pan with melted coconut oil. Add 1/8 tsp curry. Scramble until eggs are cooked. Fried Egg Sandwich: Make 1 Fried Egg and fry 2 slices bacon. Serve on a toasted English muffin. Eggs & Hash Browns: Fry 1 cup each chopped onion and grated potato in a cast-iron skillet with butter until crisp. Add 1/2 cup grated cheese and crack in 2 eggs. Fry the eggs until set and serve with buttered toast. Country Fry-Up: Grill 2 sausage links, 2 sausage patties, and 4 bacon slices. Fry two eggs, and season with salt and pepper. Serve with buttered toast. Classic Deviled Eggs: Halve peeled hard boiled eggs lengthwise. Scoop out the yolks. Mix with 1 tablespoon relish, 3 tablespoons mayonnaise, 1 teaspoon mustard, and a pinch each of cayenne, salt and pepper. Scoop the yolks back into the whites! Egg drop soup: Bring 1 quart of chicken stock to a boil. Crack 4 eggs into a bowl and whisk. When the stock is at a rolling boil, pour the eggs in slowly, stirring at the same time. Continue to heat until the eggs are firm. Tea Eggs: A favorite! Boil eggs in their shells for several minutes then cool. Crack the shells but don’t peel. Simmer in a saucepan with 1/2 cup soy sauce, 3 cups water, 4 star anise pods, 3 black tea bags and a slice of orange peel for 1 hour. Drain the eggs and peel. Egg & Mushroom Salad: To a bed of mixed leafy greens, add 4 slices of hard boiled eggs and sliced and grilled portobello mushrooms. Add a vinaigrette made with balsamic vinegar and olive oil. Moroccan Eggs: Toast 1 cup chickpeas and some ground cumin and paprika in a cast iron skillet with olive oil over high heat. 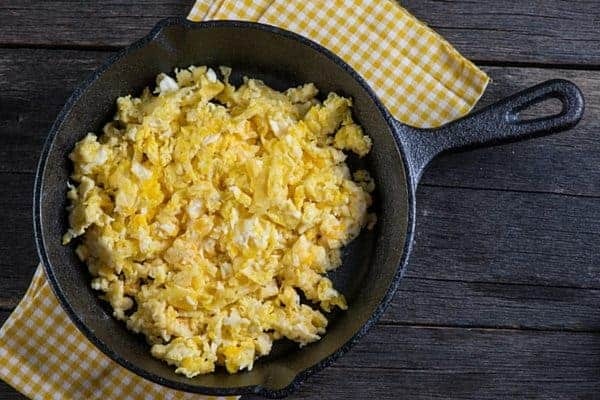 Remove from heat, and crack 4 eggs into the cast iron skillet. Bake at 350 degrees until the whites are firm. Steak and Eggs: Season 1 pound of your favorite steak cut with salt and pepper. Grill the steak until cooked. in plain butter. Crack two eggs into a hot skillet, and fry them sunny side up. Top the steak with butter and the eggs. Ham Frittata: Whisk 8 eggs, 1/2 cup milk, 3/4 cup shredded cheese, and salt and pepper. Sauté 4 ounces diced ham in a cast iron skillet with oil. Add the eggs; cook until the bottom sets, then bake at 325 degrees F, 25 minutes. Spring Frittata: Soak 1/2 cup stale bread cubes in 1/2 cup milk; mix with 8 beaten eggs. Add 3/4 cup ricotta, 1 teaspoon chopped thyme, and salt and pepper. Sauté 1 cup shredded zucchini in an ovenproof nonstick skillet with oil. Add the egg mixture. How do you think you’ll use up all your eggs? Email me or comment below! Pound cake! Angel food cake uses 12 egg whites, roughly. Use yolks for homemade noodles. Brioche uses 6 eggs in the dough…butter horn rolls do too. How about hard boiled eggs with white sauce over toast, like SOS.